Thats all. Game finished - Arsenal 2, Napoli 0. Second Half ended - Arsenal 2, Napoli 0. 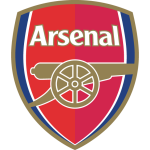 Delay in match Laurent Koscielny - Arsenal - - injury. Missed chance. Adam Ounas - Napoli - shot with right foot from the right side of the box is close, but misses the top right corner. Assist - Piotr Zielinski after corner. Corner - Napoli. Conceded by Sokratis. Missed chance. Pierre-Emerick Aubameyang - Arsenal - shot with right foot from the right side of the box is close, but missed. Assist - Henrikh Mkhitaryan following a fast break. José Callejón - Napoli - won a free kick in defence. New attacking attempt. Adam Ounas - Napoli - shot with left foot from outside the box is saved in the right corner. Corner - Napoli. Conceded by Laurent Koscielny. Allan - Napoli - won a free kick in defence. Offside - Napoli. Kalidou Koulibaly with a pass, however Adam Ounas is in offside. Substitution - Napoli. Adam Ounas for Fabián Ruiz. Substitution - Napoli. Amin Younes for Lorenzo Insigne. Missed chance. Aaron Ramsey - Arsenal - shot with right foot from the centre of the box goes high. Assist - Henrikh Mkhitaryan. Elseid Hysaj - Napoli - won a free kick in defence. Offside - Napoli. Fabián Ruiz with a pass, however Mário Rui is in offside. José Callejón - Napoli - won a free kick on the right wing. Corner - Napoli. Conceded by Ainsley Maitland-Niles. Substitution - Arsenal. Mohamed Elneny for Lucas Torreira. Fabián Ruiz - Napoli - won a free kick in defence. Delay in match Lucas Torreira - Arsenal - - injury. Missed chance. Piotr Zielinski - Napoli - shot with right foot from the centre of the box is high and wide to the left. Assist - Lorenzo Insigne. Mário Rui - Napoli - won a free kick in defence. Corner - Arsenal. Conceded by Alex Meret. New attacking attempt. Ainsley Maitland-Niles - Arsenal - shot with right foot from the centre of the box is saved in the top centre of the goal. Offside - Napoli. Kalidou Koulibaly with a pass, however Lorenzo Insigne is in offside. Substitution - Arsenal. Henrikh Mkhitaryan for Mesut Özil. Substitution - Arsenal. Alex Iwobi for Alexandre Lacazette. Substitution - Napoli. Arkadiusz Milik for Dries Mertens. Offside - Arsenal. Ainsley Maitland-Niles with a pass, however Alexandre Lacazette is in offside. Alexandre Lacazette - Arsenal - won a free kick in defence. Missed chance. 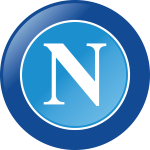 Fabián Ruiz - Napoli - shot with left foot from outside the box missed. Assist - Dries Mertens with a head. Missed chance. Nacho Monreal - Arsenal - shot with the head from the centre of the box goes high. Assist - Lucas Torreira with a cross after corner. New attacking attempt. Aaron Ramsey - Arsenal - shot with right foot from the left side of the box is saved in the top centre of the goal. Assist - Sead Kolasinac. Corner - Arsenal. Conceded by Nikola Maksimovic. Shot blocked. Pierre-Emerick Aubameyang - Arsenal - shot with left foot from the left side of the box is blocked. Assist - Mesut Özil. Offside - Napoli. Mário Rui with a pass, however Lorenzo Insigne is in offside. Aaron Ramsey - Arsenal - won a free kick in defence. Corner - Napoli. Conceded by Petr Cech. New attacking attempt. Kalidou Koulibaly - Napoli - with an attempt from the centre of the box is saved in the top centre of the goal. Assist - Mário Rui with a cross. Allan - Napoli - won a free kick in attack. Missed chance. Mário Rui - Napoli - shot with left foot from outside the box missed. Assist - Elseid Hysaj. Offside - Arsenal. Aaron Ramsey with a pass, however Alexandre Lacazette is in offside. Elseid Hysaj - Napoli - receive yellow card for a foul. Alexandre Lacazette - Arsenal - won a free kick in attack. Second Half starts Arsenal 2, Napoli 0. First Half ended - Arsenal 2, Napoli 0. New attacking attempt. Aaron Ramsey - Arsenal - shot with right foot from the centre of the box is saved in the top right corner. Assist - Pierre-Emerick Aubameyang. Missed chance. Lorenzo Insigne - Napoli - shot with right foot from the centre of the box goes high. Assist - José Callejón. Missed chance. Mário Rui - Napoli - shot with right foot from outside the box goes high. Assist - Allan. New attacking attempt. Pierre-Emerick Aubameyang - Arsenal - shot with right foot from a diffucult position on the right is saved in the top right corner. Assist - Ainsley Maitland-Niles. New attacking attempt. Pierre-Emerick Aubameyang - Arsenal - shot with right foot from outside the box is saved in the left corner. Assist - Lucas Torreira. Nikola Maksimovic - Napoli - won a free kick in defence. Missed chance. Laurent Koscielny - Arsenal - shot with the head from the centre of the box missed. Assist - Mesut Özil with a cross . Mesut Özil - Arsenal - won a free kick on the left wing. Missed chance. Alexandre Lacazette - Arsenal - shot with left foot from the centre of the box missed. Assist - Pierre-Emerick Aubameyang. Lorenzo Insigne - Napoli - won a free kick in defence. New attacking attempt. Pierre-Emerick Aubameyang - Arsenal - shot with right foot from the left side of the box is saved by goalkeeper in the centre of the goal. Assist - Sead Kolasinac. Corner - Arsenal. Conceded by Mário Rui. Missed chance. Lucas Torreira - Arsenal - shot with left foot from outside the box is close, but missed. Piotr Zielinski - Napoli - won a free kick in defence. Goal! Arsenal 1, Napoli 0. Aaron Ramsey - Arsenal - shot with right foot from the centre of the box to the left corner. Assist - Ainsley Maitland-Niles. Corner - Arsenal. Conceded by Kalidou Koulibaly. Missed chance. Kalidou Koulibaly - Napoli - shot with the head from the centre of the box goes high. Assist - Dries Mertens with a cross after corner. Offside - Napoli. Piotr Zielinski with a pass, however Fabián Ruiz is in offside. Shot blocked. Ainsley Maitland-Niles - Arsenal - shot with left foot from outside the box is blocked. Shot blocked. Aaron Ramsey - Arsenal - shot with left foot from the centre of the box is blocked. Assist - Sead Kolasinac. Corner - Arsenal. Conceded by José Callejón. Get real-time football commentaries and full coverage for the Europa League match Arsenal vs. Napoli, powered by Scorenga.co.uk. This page is dedicated to one of the most exciting Europa League clashes. Here you will find a summary of the game, standings and photos.